The Sport Scalpel is our fish, feather , fur blade and is well suited for any task where a short belly and finite tip control is needed. 1/8" AEB-L stainless steel with oxide finish. 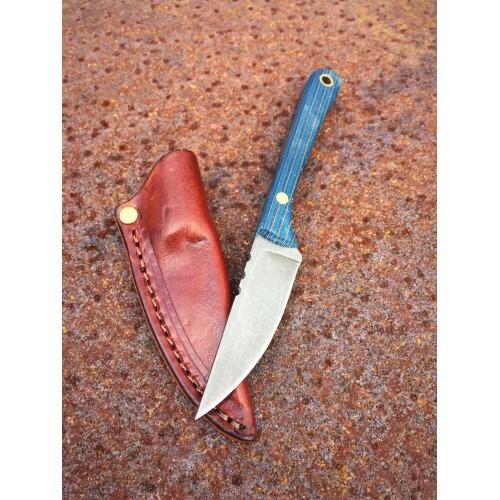 The handles are Quad Blue micarta from Unique Micarta with brass pin and tube. 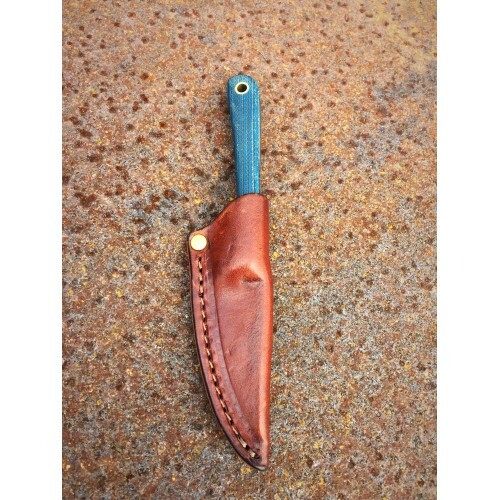 Leather pocket sheath included as shown.